Antiseptic, revitalizing and uplifting. 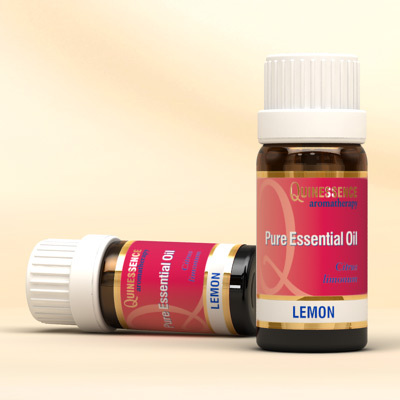 Lemon Essential Oil has an impressive list of therapeutic and antiseptic properties, making it a valuable contribution to any blend due to both its remedial action and delightfully fresh, crisp citrus aroma that helps keep the mind clear and alert. Lemon Essential Oil can be added to shampoos and conditioners to combat greasy hair, and likewise its astringent action works well in skincare creams to combat over-active sebaceous glands or treat oily complexions and acne-prone skin. 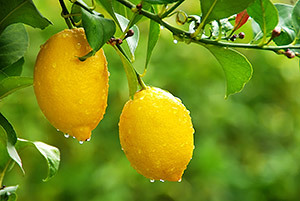 Used in massage, Lemon Oil can help improve poor circulation, cellulite and reduce spider veins. This oil is an effective immuno-stimulant that helps increase the white blood cell count, especially when it is blended along with tea tree. Use Lemon Essential Oil in body massage or add a few drops to a warm bath to help maintain a healthy immune system or recharge your system after illness.